HOWEVER, THERE ARE IN THE GOSPEL STORIES TWO POTENTIAL GODDESSES, MARY (MAGDALENE) AND MARTHA, WHO LIVE IN BETHANY WITH LAZARUS, THEIR BROTHER. JESUS IS A FREQUENT VISITOR AT THIS HOUSEHOLD, AND MARY IS THE ONE WHO SITS AT JESUS' FEET, LEARNING ALL SHE CAN FROM THE ONE SHE CONSIDERS TO BE THE SOURCE OF WISDOM. AND AFTER JESUS' RESURRECTION, SHE IS TRADITIONALLY ASSIGNED THE TITLE OF THE "APOSTLE TO THE APOSTLES." Luke 10:38 "Now it came to pass, as they went, that he (Jesus) entered into a certain village (Bethany): and a certain woman named Martha received him into her house." 39 "And she had a sister called Mary, which also sat at Jesus' feet, AND HEARD HIS WORD." 40 "But Martha was cumbered about much serving, and came to him, and said, Lord, dost thou not care that my sister hath left me to serve alone? bid her therefore that she help me." 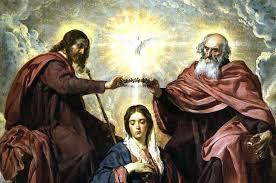 42 "But one thing is needful: and Mary hath chosen that good part, which shall not be taken away from her." 1) SYMBOLICALLY AT LEAST, MARY APPEARS TO BE TAKING EVE'S PLACE STANDING BY THE TREE OF KNOWLEDGE, AND JESUS, TAKING THE PLACE OF THE SERPENT, APPEARS TO BE ABOUT TO BE GIVING HER THE FRUIT SHE DESIRES. 1 Timothy 2:12 "But I suffer not a woman to teach, nor to usurp authority over the man, but to be in silence." SEEING NOW MARY THE SISTER OF MARTHA AS A CANDIDATE FOR A NEW TESTAMENT "GODDESS OF WISDOM" LET'S TURN NOW TO HER SISTER MARTHA, WHO PLAYS A CAMEO ROLE IN THE "RAISING OF LAZARUS" STORY. IT'S MARTHA, NOT MARY WHO DEMONSTRATES HER KNOWLEDGE TO JESUS, AND IN RETURN RECEIVES THE PROMISE OF ETERNAL LIFE. 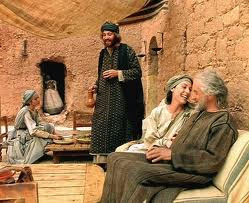 John 11:20 "Then Martha, as soon as she heard that Jesus was coming, went and met him: but Mary sat still in the house." 21 "Then said Martha unto Jesus, Lord, if thou hadst been here, my brother had not died. 22 But I know, that even now, whatsoever thou wilt ask of God, God will give it thee." 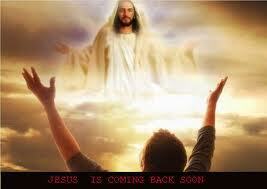 23 "Jesus saith unto her, Thy brother shall rise again." 24 "Martha saith unto him, I know that he shall rise again in the resurrection at the last day." THIS IS A HIDDEN PROPHECY, SO CAREFULLY HIDDEN THAT I'M NOT SEEING IT FOR WHAT IT IS UNTIL I'M WRITING THIS, ON 2-14-2015. KNOWING LAZARUS TO BE SIMON MAGUS, THE FOUNDER OF GNOSTICISM, AND MAIN CHARISMATIC FIGURE OF THAT ERA, JESUS IS BY ALLOWING MARTHA TO SUGGEST HE WILL "RISE AGAIN" AT THE "LAST DAY" IS PROPHESYING AN END-TIME CHARISMATIC REVIVAL, WHICH DID OCCUR, BEGINNING ABOUT 1900 AD, AND IS VERY MUCH IN PROGRESS NOW. 26 "And whosoever liveth and believeth in me shall never die. Believeth thou this?" 27 "She saith unto him, Yea, Lord: I believe that thou art the Christ, the Son of God, which should come into the world." 1) IT'S A WOMAN, NOT A MAN, ALTHOUGH JESUS HAS MALE DISCIPLES WITH HIM, THAT GETS THE IMPORTANT ROLE OF ASKING JESUS THIS IMPORTANT QUESTION ABOUT THE RESURRECTION, AND IN RETURN HEARS JESUS EXPLAIN HIS ROLE IN PROVIDING ETERNAL LIFE TO ALL BELIEVERS TO EVERYONE PRESENT. 2) MARTHA'S CONFESSION OF BELIEF IN JESUS AS THE CHRIST, THE SON OF GOD, IS FULLY AS IMPRESSIVE AS SIMON PETER'S ON ANOTHER OCCASION, BUT HE, PETER, GETS TO BE DECLARED THE FIRST POPE BY THE CATHOLIC CHURCH, WHOSE POPES FOLLOWING PAUL'S STATED PREFERENCES, WILL BARELY LET WOMEN SPEAK IN PUBLIC AND DENY ORDINATION AND PRIESTHOOD TO THIS VERY DAY! and Barbelo of her Era! John 4:5 "Then cometh he (Jesus) to a city of Samaria, which is called Sychar, near to the parcel of ground that Jacob gave to his son Joseph." 6 "Now Jacob's well was there. Jesus therefore, being wearied with his journey, sat thus on the well; and it was about the sixth hour." 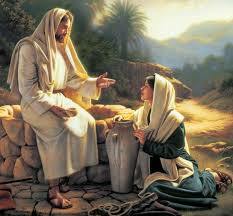 7 "There cometh a woman of Samaria to draw water: Jesus saith unto her, Give me to drink." 9 "Then saith the woman of Samaria unto him, How is it that thou, being a Jew, askest drink of me, which am a woman of Samaria? for the Jews have no dealings with the Samaritans,"
10 "Jesus answered and said unto her, If thou knewest the gift of God, and who it is that saith to thee, Give me to drink; thou wouldest have asked of him, and he would have given thee living water." 11 "The woman saith unto him, Sir, thou hast nothing to draw with, and the well is deep: from whence then hast thou that living water?" 12 "Art thou greater than our father Jacob, which gave us the well, and drank thereof himself, and his children, and his cattle?" 14 "But whosoever drinketh of the water that I shall give him shall never thirst: but the water that I shall give him shall be in him a well of water springing up into everlasting life." 15 "The woman said unto him, Sir, give me this water, that I thirst not, neither come hither to draw." 16 "Jesus saith unto her, Go, call thy husband, and come hither." 18 "For thou hast had five husbands; and he whom thou now hast is not thy husband: in that saidst thou truly." 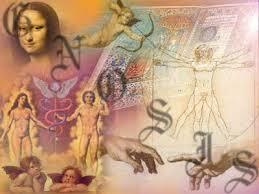 19 "The woman said unto him, Sir, I perceive that thou art a prophet. 20 "Our fathers worshipped in this mountain; and ye say, that in Jerusalem is the place where men ought to worship." 21 "Jesus saith unto her, Woman, believe me, the hour cometh, when ye shall neither in this mountain, nor yet in Jerusalem, worship the Father." 22 "Ye worship ye know not what: we know what we worship: for salvation is of the Jews." 23 "But the hour cometh, and now is, when the true worshippers shall worship the Father in spirit and in truth: for the Father seeketh such to worship him." 24 "God is a Spirit; and they that worship him must worship him in spirit and in truth." Mary, Martha, and Lazarus were all three - Gnostics! In 1992 HARPUR published a book by Dr. Barbara Thiering PhD of the University of Sydney (Australia) which revealed how to interpret Essene "Pesher" Codes. I, Dr. Robert Holt, MD, learned how to do this -- and here's how I know the above statement is true! 1) The major Samaritan couple (man and woman) among the Essenes in 29-33 AD was Simon Magus (a Samaritan Essene priest) and his consort Helena. 2) Helena was a female deacon, authorized to serve (like today's deaconesses) at Essene Holy Meals, using Herodian rules. 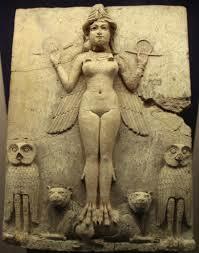 3) Essene practices show (Thiering) that the 6th hour of the day was the proper time for the noon Holy Meal. Jesus, when he said, "Give me to drink," was asking Helena not for a drink of water, but to serve him the usual grape juice (wine) of the Holy Essene Meal. 4) The real location was Ain Feskha, midway between the Qumran Monastery and Kherbit Mazin, where Jesus lived during this period. This is where the main fresh water supply of the Essenes was located -- the "Well" -- an Artesian well still actively supplying cold fresh water when I visited this Essene site in December of 1992. 5) It could be called "Jacob's Well" because Jesus' grandfather Jacob (Matt. 1: 16, Heli in Luke 3:23) had "given it" to Jesus' father Joseph (Matt. 1:16, and Luke 3:23) as related in John 4:5. Simon Magus and Helena (the Samaritans) lived only a few yards from this Artesian well. The ruins of the Essene villa where they lived can still be seen there. I photographed them in 1992. 6) Thiering in her book Jesus and the Riddle of the Dead Sea Scrolls gives the exact date and time of this encounter between Jesus and the Gnostic Helena as June 22, 31 AD at 11:55 AM. After Jesus was crucified in an unclean area at the Qumran Monastery in March of 33 AD, both he and Simon Magus, (the good thief promised paradise by Jesus while they both were on crosses) survived crucifixion in a sequence recorded rather accurately in Revelation 11:1-12. Revelation 11:12 "And they heard a great voice from heaven saying unto them, Come up hither. 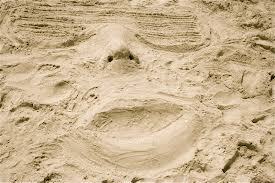 And they ascended up to heaven in a cloud; and their enemies beheld them." This was the "Paradise" Jesus promised Simon as the "Good Thief" in Luke 23:43 "--Verily I say unto thee, To day shalt thou be with me in paradise." Acts 3:1 "Now Peter and John went up together into the temple --2--a certain man lame --was carried--4 And Peter, fastening his eves upon him with John, said, Look on us." 8 "And he leaping up stood, and walked, and entered with them into the temple, walking, and leaping, and praising God." 11 "And as the lame man that was healed held Peter and John, all the people ran together unto them in the porch that is called Solomon's, greatly wondering." After a period of cooperation with Peter after the day of Pentecost under the name of "John" in which both became known as healers and for Pentecostal-type glossilalia, Peter opted for a more conventional type ministry that became, with Paul's major participation, main-line Christianity. Simon Magus went in another direction as the major founder of Gnostic Christianity, which was eventually forced underground after Constantine and the Nicene Creed. As for Helena, still posing as Barbelo incarnate, she became the initial pattern for the Harlot of Babylon in Revelation chapter 17 and part of 18. Revelation 17:1b "--Come hither, I will shew thee the judgment of the great whore that sitteth upon many waters; 2 With whom the kings of the earth have commited fornication, and the inhabitants of the earth have been made drunk with the wine of her fornication." 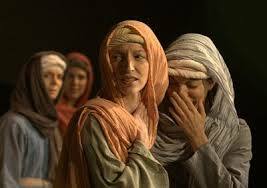 Here we have a flash-back to Jesus' scene with the "Woman at the Well", the "Woman of Samaria". The "fornication" with all those kings is an exaggerated repeat of "thou hast had five husbands; and he whom thou now hast is not thy husband"--and what the inhabitants of the earth have been made drunk with is the same cup of Essene grape-juice-wine that Helena, consort of Simon Magus passed Jesus when he said to her, "Give me to drink," at 11:55 AM on June 22, 31 AD at the Essene villa at Ain Feshkha, 3 Km. south of the Qumran monastery. But what I'm finding is what I'm finding -- I'm just passing it on to you -- a GIFT, as it were, from Jesus! To be Free at Last! THAT THE CHRISTIAN CHURCH HAS NOT NOTICED! FOR ADVANCED SCHOLARS AND WOULD-BE THEOLOGIANS ONLY! NO BEGINNERS! "Alternative Eve Stories, Dr. Bob Holt"